Here is a link to the researcher’s website, set up to describe the study. From that link, here is some relevant information on who is eligible. is currently or was previously under the care of a medical doctor, mental health professional, or nutritionist for treatment of the eating disorder or relapse prevention. All participants must be married to their son’s other biological parent. 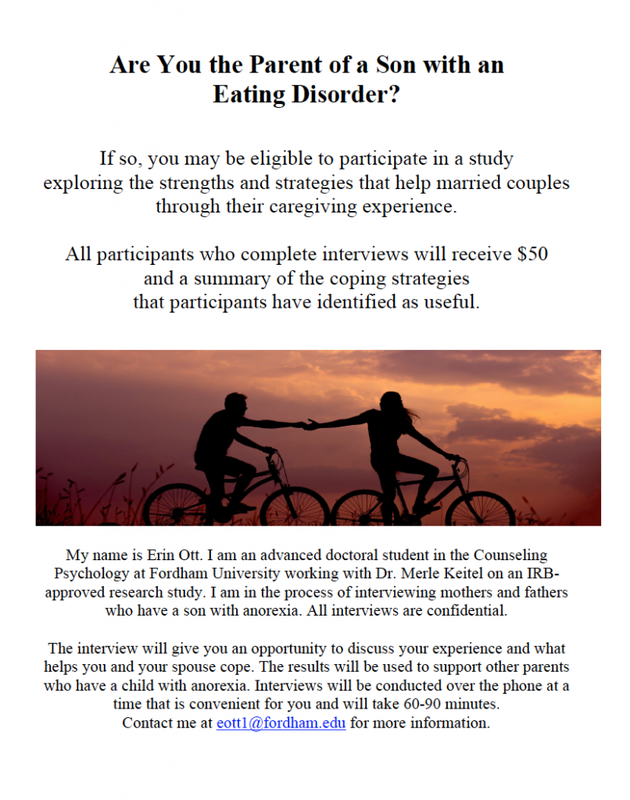 Married couples may participate but will be interviewed separately; however, both partners do not need to participate in the study.